I cannot begin to express my disappointment with the Screen Actors Guild. Michael did not receive a nomination from SAG. These nominations are chosen by actors, not some random critics who have never put in the blood, sweat, and tears that acting calls for. My disappointment stems from the lack of recognition from the people who should know how much hard work and dedication it takes to make a film, or act in one, the people who should be able to recognize a good performance regardless of mature content or the genre, the people who should be able to recognize TALENT. This is a sad day for actors everywhere! Shame on you SAG for not nominating Michael or Carey for their groundbreaking performances! I completely agree Dionne, Shame on them! But you are right, it will get better. Fassinators keep your heads up! Congrats Michael on the Houston Film Critics Award. SAG has been known to play it safe, so this isn't a surprise. Although the actors do get to nominate the nominees only a small portion are selected for that privilege. 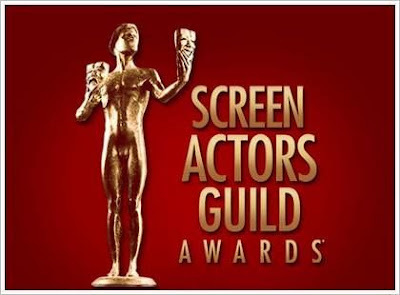 All SAG members are now eligible to vote from the list. I'm thinking that maybe the selected group of actors, who selected these particular actors, didn't get the big picture. Sad day indeed for actors everywhere. I mean they left off Oldman, Goling, Brooks, Mulligan. It's going to be an uphill battle for sure. Even if Michael gets a GG nom. tomorrow we know how that turned out for Gosling last year. Although if Michael gets the BAFTA he is back in the game for an Oscar. It's going to be tricky, but I think Michael will pull off the Oscar nom. I also agree about the BAFTA, let's hope he gets one! I agree - do any of the noms challenge audiences to take a good look at American society/culture & its problems, to questions the costs to individuals, do any of them challenge us in any deep or complex way?? Awards are nice for recognition & career, but they are no barometer of anything but the nominating group's ability to think outside of its own box & face up to the realities & issues contributed to by its own products! ok, rant over...Fassbender & MacQueen are two of the bravest and most talented film makers around today. It's frickin BS. I was just on the IMDB board for Michael when I found out. Malarky! By the way, thanks for posting! Mr Fassbender is nominated for the Golden Globes!!!!!!!!!!!!!!!!!!!!!!!!!!!!!!!!!!!!!! Huuuuge congrats to Michael on the Golden Globe nom. Shame on SAG !!!! It's a BIG NONSENSE !!! !